Papercuts shares new single, the 3rd track taken from "Parallel Universe Blues". PAPERCUTS shares new single “How To Quit Smoking”, the 3rd track taken from new album Parallel Universe Blues, due 19th to be released tomorrow via Slumberland Records. Papercuts' Jason Quever has released a new single entitled "How To Quit Smoking", the third track taken from his blissful new album Parallel Universe Blues, due 19th Oct via Slumberland Records. It's his sixth album in a fruitful career and his first for new label home Slumberland. Since emerging in San Francisco's fertile early-00s indie/folk scene, Papercuts' Jason Quever has released 5 stellar albums that have become touchstones of quality modern pop. Equally at home with lush, baroque textures and more stripped-down arrangements, Quever's song-writing is always top notch, the production tailored to the songs with great sensitivity. "How To Quit Smoking" is a wry bit of self-examination, fueled by some gorgeous guitar melodies and a terrific chorus. "Sing To Me Candy" amps up the fuzz - distant peels of feedback blending into tape loops to create a Opal-esque atmosphere. "Clean Living" is another "jab at self improvement and who it's really for" that could fit right on on Nico's "Chelsea Girl." Mesmerizing and beautiful. The second half of the album is just as strong, with the updated girl group shuffle of "Kathleen Says" and the uptempo jammer "Walk Backwards." "All Along St Mary's" is an epic breakup song that would be right at home on The Jesus And Mary Chain's "Darklands" - ideal late night/rainy day vibes. "Waking Up" and "Looking Through Heather" wrap the album up with two distinct takes on dream pop. 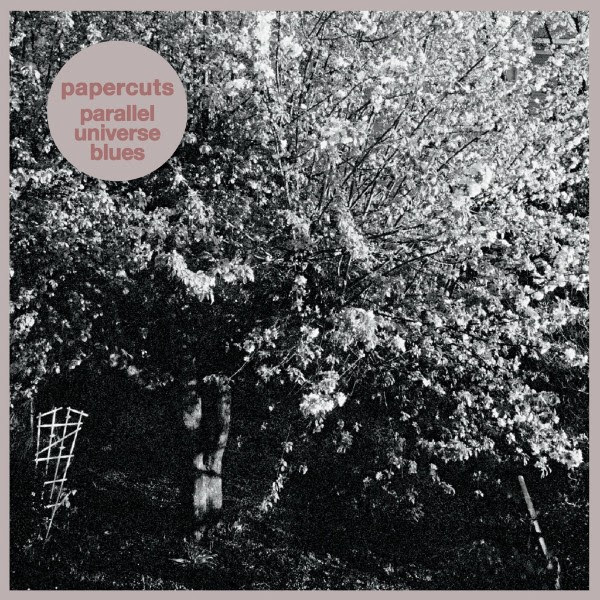 Never sacrificing song-writing for atmospherics, Parallel Universe Blues is a superb addition to the Papercuts catalog. Its themes of self-examination are as a timeless as the tunes themselves, the dreamy autumnal mood perfectly captured in the pastoral cover art. The album is a triumph and points to more great things in the future from Quever and Papercuts.